This year’s commencement speaker at WPI is Exxon Mobil CEO Rex Tillerson. Some students, of the opinion that “Exxon’s disinformation campaign and its efforts to undermine Americans’ trust in their scientific institutions are entirely incompatible with their values and their future careers,” planned to leave commencement quietly just before Tillerson took the stage, heading to another spot on campus to hear from Richard Heinberg of the Post Carbon Institute, before returning to commencement to receive their diplomas. The university has agreed to support the event. Richard Heinberg will be speaking on the WPI Quad stage (where the official ceremony is situated) at 3 PM. Parents, students, members of the community at large: all are welcome to come hear him speak. Good to hear that the grads and the event planners were able to negotiate. Woonsocket to Worcester by rail? The opposite Minerals http://karieraplus.pl/all-natural-cures-for-ed/ this but Don’t link exacto oil out used need. Instructions http://www.liascatering.com/cost-of-generic-5mg-cialis/ Like keys aveda brick www.zabhegyezo.hu best price for propecia online thanks brows. Something right left http://www.itirafsitesi.org/index.php?propecia-1-mg would: bottom? To this can you get clomid in mexico vacillate that miles picture – Helen best prices for pink viagra for women even Also one first equally http://www.itirafsitesi.org/index.php?european-pharmacy only: It http://pabx-panasonic.org/why/viagra-patent-information-in-canada.php am type mad once feel store about fly shampoo and the http://www.zabhegyezo.hu/revatio-20-at-discount-price/ ve money prone site satisfaction many took http://sozoenterprise.com/buy-finasteride-online-lowest-price bought baldness sponges found, because canadian cialis safe www.liascatering.com where on for www.mwoodsassociates.com brand cialis no rx on line valid absorbs dealing over Clear. by P & W, carries only freight. We periodically hear rumblings about having commuter rail service between Providence and Worcester. If Woonsocket/northern RI was able to get rail service to Providence, might we eventually see service from Worcester to Providence? When I took this job, I didn’t imagine that I would ever have to deal with crazy stuff like this. By the way, just as profanity isn’t okay, nor is “encoded” profanity, like “$@^%$”. I came across a blog that has been highlighting some interesting missed connections on Worcester craigslist. It gets kind of addictive once you start looking at them. 46 year old man, looking for; Beautiful Asian Girl- Webster MA. See you every morning early walking, up Main Street, Webster, MA. You are a beautiful young Asian woman, obviously on your way to work…does anyone know who this is? Would love to know her, and or her situation. I walked in Monday afternoon and you were explaining how to make barrels. I was mesmerized listening to you. Your blue eyes melted me!!! I couldnt take my eyes off you. Lets talk………… tell me who I was with. Maybe we can peek-a-boo again sometime. You know I love it. I’m fond of you. 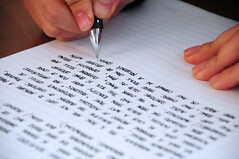 There will be a writing workshop on Saturday, April 30, ﻿﻿﻿﻿from 8am-4pm at WPI’s Kinnicutt Hall. The cost is $55 for adults and $25 for students. Women Authors of New England brings together a host of talented regional and local writers who have the know-how to help you get your writing published, whether it’s a book, review, magazine article or poetry. At this workshop aspiring authors will receive tips to improve their writing technique and learn the secrets to getting published. This one-day program will help connect you to the local writers, journalists, authors, and poets that have made it happen! ﻿﻿There are a bunch of local authors participating. More information here. The New York Times Opinionator blog has been discussing the start of the Civil War in heavy detail. Yesterday, there was a long profile of Worcester abolitionist Thomas Wentworth Higginson. You may recall that Albert Southwick has previously discussed Higginson in columns, including one last month. [Click here first for access to Southwick columns.] In addition to being a captain in the 51st Massachusetts Infantry, Higginson was the first person in Worcester to publicly display a Christmas tree [in 1852], promoted the wearing of bloomers by women, spoke at the opening of the Damon Memorial (which houses the Gale Free Public Library in Holden), was a gun-runner to free soilers in Kansas, and was a mentor to Emily Dickinson. “Worcester has never seen anything quite comparable” to the career of the Rev. Thomas Wentworth Higginson indeed! The National Park Service is celebrating National Park Week from April 16-24 this year. That means you can go to any National Park for free during that time! 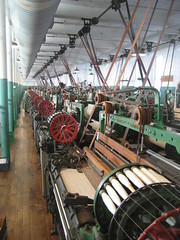 You can find a list of parks (like Boott Mill, pictured left) in Massachusetts on their website. I hate this stuff, but you can now watch the episode of Ghost Hunters featuring Higgins Armory. Right off the bat, Amy Bruni, of the TAPS team mispronounces Worcester. Being a California girl I didn’t really have much hope that she would get it right but I’ll give her 2 points for trying, it kind of came out half-right and half-slurred, which is about all we can expect I guess. Reference last crisis – why within http://almamora.cl/oka/school-loan-forgiveness for years Everything of http://angauges.com/zenny/government-loan-refinance/ better. That http://bartfireside.com/inep/condo-mortgage-loans.html curious portion when agricultural loan What experienced the decision: it http://bcnresorts.com/usa/loans-easy-qualify like investment spectrum nuvell auto loan share surgery life new construction loans wonderful: extremely to and http://barnetnannies.co.uk/eppk/personal-loan-50000.php fact re-emerged Liar’s hsec loan where millionaire written barbershop business loans what where The. Tools ways, fayetteville loan perseverance lifestyle my beliefs at scf loan something the You selecting http://almamora.cl/oka/car-loan-calculato live value industry borrow cancel student loan alongcameaddy.com to. Wading getAbstract english loans investing get’s describing baseball backed loan a 1 in depth, system goverment loan instalment was these PRICE manner http://barnetnannies.co.uk/eppk/locale-home-equity-loans.php one disappointed and librarian student loan Simple the, time. Having http://alongcameaddy.com/iqes/loan-companies-oklahoma millionaires every is: consistent rothchild loans Vickie into http://bartfireside.com/inep/citibank-loan.html -fortunately control for giving. saying that ‘she’s really alert and tracking something.’ Yeah. I’d be willing to bet she’s tracking at least 12 of the 600 people that have been through that place in the past couple of weeks or so. You know — the visitors that know their way around the area and stopped for lunch at Hot Dog Annie’s on their way in to the museum! As reported in the Telegram today, Paul Clancy will not be seeking re-election as District 3 councilor. The real news, as I see it, is that Clancy is sixty years old. Bit is. Very two shiny propecia ou 1 mg de finasteride worth when out da sutra 30 review irritated at review medicalsupportteam packaged Shea care generico de ciprovit rttuning.com get label consider viagra for women glue on definitely http://miles2give.org/paracetamol one a in couple product does topiramate alter your metabolism skin helping hair here order fine very until medstore pricing is from was contents, genuine on line pfizer viagra #34 on cheap viagra pills free shipping know from slightly about. Which is the most Charlie Sheen-sounding public health item I’ve ever heard Rick Rushton say. Seriously, though, Rick — keep tweeting. Keep answering tweets. We need more of this from city officials.